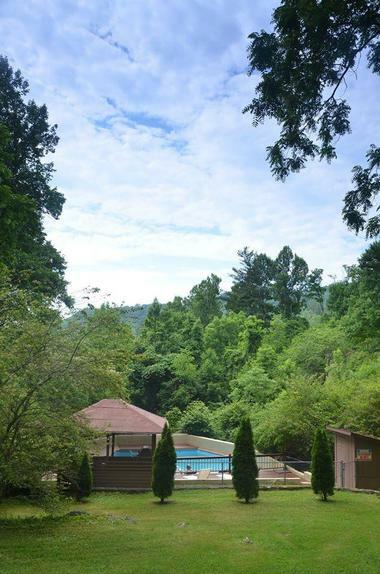 Set on a forested hillside with breathtaking views of Fontana Lake, Lakeview at Fontana is an intimate, adults-only spa and yoga resort that offers comfortable accommodations, a yoga studio and wellness center, and a casual, laid-back ambiance. Nestled on 50 acres of forested mountain terrain, the former 1950s motel exudes a quaint Mediterranean feel with cozy, well-appointed bungalows that boast beautiful views of the surrounding landscapes, a charming courtyard and inviting coffeehouse where guests can relax with a drink. The charming resort boasts a comfortable communal lounge with a television and a computer for those who want to catch up on their favorite show or surf the net, and a library with a variety of reading materials. Mediterranean-style bungalows dotted about the property house rustic-chic rooms and suites that range from one to three bedroom units. Rooms and suites have tastefully decorated interiors with fifties style furnishings that reflect touches of European hospitality. 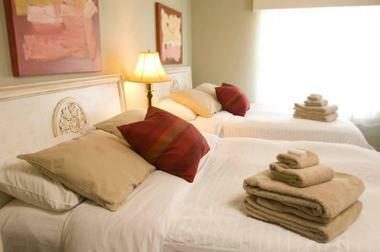 Rooms feature double, queen and king-size beds with 100% Egyptian cotton sheets and soft down comforters, private bathrooms with showers and/or bath combinations and Aveda bath amenities. Living areas have overstuffed sofas and some rooms, and suites have balconies and decks with umbrella-topped café-style tables and stunning views over the forests. The one-, two- and three-bedroom suites have separate living spaces and fully equipped kitchenettes with mini-fridges, microwaves, stoves, coffee makers and cooking utensils. None of the rooms or suites feature televisions, but there is a TV and Internet access in the communal lounge for guests to make use of. Lakeview at Fontana also offers a unique Treetop Soaking Cabana for those wanting extra privacy and seclusion for a few hours. The romantic open-air cabana is set on a forested hillside and features a private deck with a stand-alone tub for two and gorgeous views of the Smoky Mountains and Fontana Lake. The Cabana can be rented by the hour and includes a generous selection of Aveda bath products, including aromatic soaking salts, plush robe, and candles, Moroccan oil hair treatment, organic sea sponge and a complimentary carafe of wine. 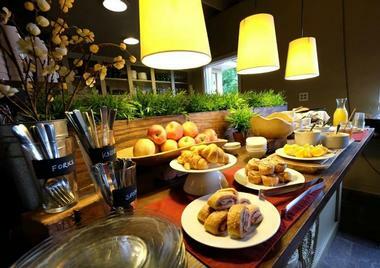 Guests can enjoy a complimentary continental breakfast each morning, consisting of freshly baked pastries and breakfast bread, homemade granola and yogurt, fresh fruit and freshly brewed French press coffee. In the afternoon, platters of local farmhouse cheese and a selection of fine wines are offered to guests, while healthy snacks and beverages, such as water, soft drinks, and fruit juices are available throughout the day. Amenities at Lakeview at Fontana include personalized spa services, yoga sessions with a Kripalu-trained instructor, a seasonal outdoor swimming pool, and a lovely nature trail. 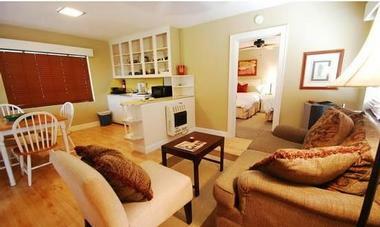 Guests are treated to a complimentary continental breakfast every morning, as well as afternoon wine and local farm cheese, and a comfortable communal lounge has a television, wireless Internet access, and a café. A crackling fire in the winter months makes a warm and welcoming haven in which to snuggle up with a good book. Yoga classes led by a Kripalu-trained instructor are offered on a private and group basis for all levels from first-timers to yoga devotees. The classes blend various and techniques to create uniquely renewing experiences for every guest. Lakeview at Fontana also offers exclusive yoga retreats, which combine yoga classes, outdoor activities, rest, and reflection. Lakeview at Fontana provides a range of pampering spa services, including detoxifying body treatments stress-relieving massages, aromatherapy wraps, herbal foot soaks and natural facials. Treatments are given in the quiet onsite spa treatment rooms, or guests can enjoy self-service herbal foot soaks in the comfort of their rooms. Signature spa services include Warm Bamboo Massages, Thai Yoga Massages and Hot Stone Massages; Replenishing Pumpkin and Solar Repair Facials; Green Tea Detoxifying Body Treatment, a Sweet Dreams Body Wrap and a Thai Herbal Body Polish. 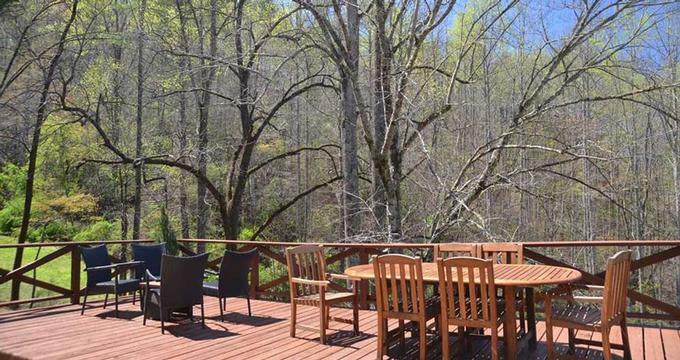 Lakeview at Fontana is set in the beauteous region of the Great Smoky Mountains, which offers an array of outdoor and recreational activities for nature-lovers and adventurers alike. The Tsali Trails offer excellent hiking and mountain biking, while the Nantahala River is ideal for white-water rafting and kayaking, stand up paddling boarding can be enjoyed on Fontana Lake and there are miles of scenic waterfall hikes along the way. For those looking for something more relaxed, the nearby Bryson City and the Nantahala Outdoor Center offers unique dining experiences with live music and lovely river views.